Evora is one of the best tourist destinations of central Portugal, it is a delightful city that exudes Portuguese charm and boasts a vast array of fascinating historical monuments. Evora was historically a major trading and religious centre, a former importance that is reflected in the sheer variety of tourist sites, all of which are all conveniently contained within the city’s ancient walls. Evora should not be mistaken for a sleepy old relic that is reliant upon its glorious past, the city is young and vibrant, with a large student population who attend one of the world’s oldest universities. 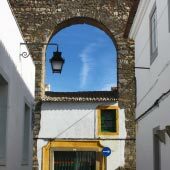 Evora is surrounded by the Alentejo, a region of sun-baked olive groves, fortified towns and traditional villages, all of which are a joy to explore from Evora. Evora and the Alentejo offer a truly unique Portuguese experience, with a distinctive heritage, delicious regional cuisines and an infectious unhurried pace of life, a consequence of the sweltering hot summer months. Evora may not be as famous or instantly recognisable as other larger Portuguese cities, but it is a destination that should be high on the list of locations to visit while on holiday in Portugal. This article will provide an introduction to Evora and is divided into three sections; the first section is tourist information, the second section contains practicalities including travel and weather information, and the third section provides details of the main tourist attractions. Evora has a lot to offer to visitors, with interesting historical monuments, great restaurants, a relaxed nightlife and is the gateway to the Alentejo. There is a lot to see in Evora, as the compact city has the second largest number of national monuments of Portugal, being second only to Lisbon. Highlights include; an impressive Roman Temple, a majestic cathedral, intriguing prehistoric standing stones and the macabre Chapel of Bones. 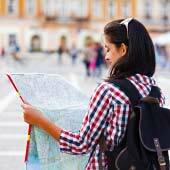 For a guide to the major sights of the city, please click here. Evora’s quaint, cobbled streets are a delight to explore and are lined with traditional houses that have remained unaltered for generations. Tourists can get a taste of the local delicacies at one of the fine family-run restaurants and those looking for nightlife should head to one of the numerous small late-night bars. Beneath the traditional exterior, Evora is a very much living, breathing city, which welcomes and actively encourages tourism. Simply put, Evora makes for an absorbing cultural experience and is highly recommended. Evora as a day trip or a longer stay? Evora can be visited as a day trip from Lisbon but this will be a very long day trip and will involve a lot of travelling, especially if reliant on public transport. All of the major tourist sights can be seen within a day but a couple of days provides for a much more relaxed and enjoyable approach. It should be noted that Evora gets incredibly hot during the summer (see later on for weather charts) and the midday sun makes it almost too hot for sightseeing. Also, worthwhile noting for a day trip is that many of the tourist attractions shut for an extended two-hour lunch. A less demanding method to see Evora in a single day is to join one of the organised tours that depart from Lisbon, these tours have the added benefit of local and knowledgeable guides and prices are around €80 per person. For a detailed guide about visiting Evora independently as a day trip from Lisbon, please see this article. So how long to stay in Evora? Evora could be explored at a leisurely pace for two days, while a third day could be devoted to visiting the pre-historic standing stones of Cromeleque dos Almendres and the castle at Evoramonte. 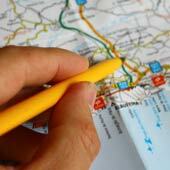 Further days could explore the Alentejo but due to the limited bus services a rental car is needed. With a rental car, one day could explore the marble towns of Estremoz, Vila Viçosa and Borba while the second day could visit the fortified town of Elvas. Elvas is a highly recommended and fascinating town that is surrounded by star-shaped defences and, being on the border with Spain, was at the forefront of many major battles. For an extended stay considering renting a car from an agency in Evora, as driving is very easy in the Alentejo region, the roads are very quiet and are of a good standard. We never recommend hiring a car while based in Lisbon as the roads are confusing, drivers are erratic and there is never any space to park. Our recommendation is to catch the train to Evora (see later) then hire the car. For an even longer stay, Evora has the added benefit of providing great value for food and accommodation, with all the prices being significantly cheaper than Lisbon or the coastal towns. To understand how inexpensive living in Portugal could be, look at the prices of houses for sale in the rural regions of the Alentejo. When best to Visit Evora? 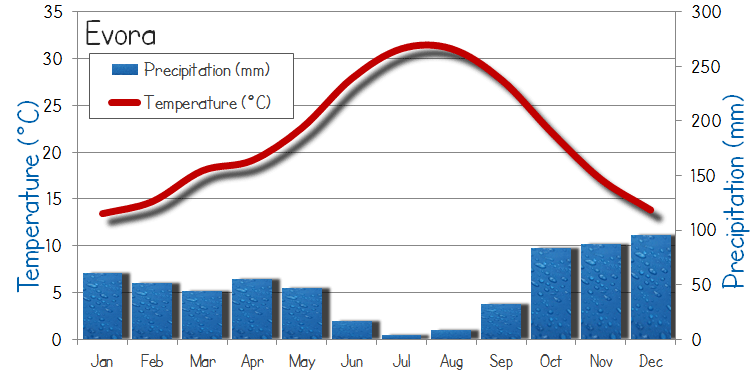 Evora has incredibly hot summers, warm springs and autumns, and winters that are mild but with the chance of grey or wet days. Early spring is the best time to visit Evora, when the rolling plains are lush and full of flowers and the days are bright and pleasant. Summers are extremely hot in the Alentejo region and sightseeing can only be done in the early morning or late in the afternoon. For tourists intending on visiting during the summer, follow the locals’ example, by operating at a much slower pace and taking a long lunch. All municipal government operated tourist attractions close for an extended two-hour lunch, irrespective of the season, so plan your day of sightseeing around this long break. Evora is a comparatively inexpensive tourist destination and accommodation, food and entrance fees are affordable on all budgets. Evora does not have such a peak summer season (due to the hot weather) and accommodation is reasonably priced throughout the year. 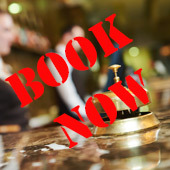 Where possible, it is advisable to book accommodation as far in advance as possible as the best bargains tend to sell out first. 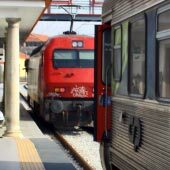 Evora is connected to Lisbon by a reliable and inexpensive public transport network that offers both rail and bus services. There are more daily bus departures than the train, but the railway has been recently upgraded and provides a more relaxing journey. Travel times for both bus and train are around 1.5 hours and the fares are comparable at €12.50 for a single adult ticket. 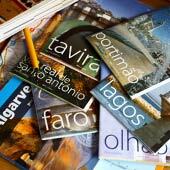 For a guide to traveling from Lisbon to Evora please click here. There are three historical monuments that could be considered as the best tourist attraction of Evora; they are the Sé Cathedral, the Roman Templo de Diana and the Aqueduto de Água de Prata. 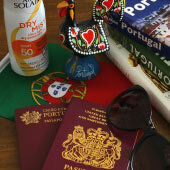 For a full guide to the sights of Evora, please click here. The Sé cathedral is a beautiful example of gothic architecture, which closely resembles the fortified cathedral in Lisbon. The cathedral of Evora is unique for gothic architecture as normally there is line symmetry across the front portal but the Se Cathedral has two mismatched towers (look up). From the roof of the cathedral there are wonderful views over Evora as the cathedral was constructed on the highest point of the city. The Templo de Diana is considered as the best preserved Roman temple on the Iberian Peninsular, it was protected from destruction as it was incorporated into Evora Palace, and later used as a barn storing wood! The temple is named after the Roman goddess Diana but when it was constructed in the 1st century it was actually dedicated to Augustus – the emperor who created a cult regarding himself. The Aqueduto de Agua de Prata ensured that there was a constant supply of water to the city and is connected to the constant water springs in Graça do Divor, 18km to the north. Outside of the city walls the aqueduct forms imposing arches, while inside the city limits, houses and shops have been constructed beneath the arches. The name of the aqueduct (the Silver Water Aqueduct) has a double meaning, the first and more obvious is the silver appearance of the water under the bright summer sun, while the second meaning reflects the astronomical construction costs, which were so high that they almost bankrupted the regional government. 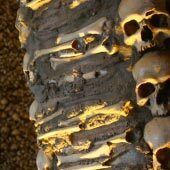 There is no stranger tourist attraction in Evora (and possibly central Portugal) than the macabre Capela dos Ossos (the Bone Chapel). The walls of this small chapel are lined with the bones and skulls of more than 5,000 bodies that were exhumed from the crowded graveyards of Evora. These bones have not just been placed into the walls but actually form the decoration of the chapel, as it was a Franciscan Counter-Reformation belief that death is purely a transitory stage. The creepiness is compounded by the wording above the entrance, which reads "We the bones wait for yours".